International DJ, Dash Berlin, returns to The Gallery at Ministry of Sound this Friday 4 July following his sold out show in March. 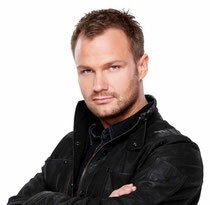 Dash Berlin, aka Jeffrey Sutorios, will return to London after his sell-out show in March for his ninth visit to Ministry of Sound since 2010. Dash came to prominence in 2007 with a string of club tracks including ‘Till The Sky Falls Down’ and ‘Waiting’ and has since gone on to release five albums including '#musicislife’ and this year’s ‘We Are (Part1)’. The Gallery will play host to the vocals and re-work edits that form the backbone of all Dash Berlin performances and promise to bring high energy and interactive visuals to the South London dancefloor.